Three McNair Scholars from the University of Central Florida were awarded the National Science Foundation (NSF) Graduate Research Fellowship. More than 12,000 applications from across the country were received by the National Science Foundation and only 2,000 awards were offered. 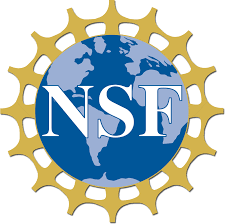 The NSF Graduate Research Fellowship Program recognizes and supports outstanding graduate students in NSF-supported science, technology, engineering and mathematics disciplines who are pursuing research-based masters and doctoral degrees at accredited U.S. institutions. The program’s purpose is to ensure a diverse population among the scientific and engineering fields. Benefits include a three-year annual stipend of $34,000, a $12,000 annual cost-of-education allowance, international research and professional development opportunities. Two of the UCF McNair scholars awarded are current UCF undergraduate students, and one is a UCF McNair Program alumni. Joey Velez-Ginorio graduates this year with his bachelor’s degree in Computer Engineering and will be pursuing his doctoral degree in order to continue his research in Artificial Intelligence. Sarah Davenport will also be receiving her bachelor’s degree this Spring in Anthropology and plans to enroll at Brown University this upcoming Fall semester. Geena Ildefonso is a second year doctoral student at Vanderbilt’s Mathematical Biology doctoral degree program. Joey Velez-Ginorio credits the McNair Program’s emphasis on preparing scholars for fellowships for his winning NSF application. He notes, “I knew well in advance that the NSF GRFP was something I would apply for, because I had seen other McNair cohorts before me prepare for the application. In the Fall semester of my senior year, the program placed me and my peers in a writing course meant specifically to prepare students for the NSF GRFP application and other fellowships. The course helped me pace my writing in a healthy way, provided writing strategies, and offered feedback on each of my drafts — in addition to translating my informal understanding of the NSF GRFP’s review criteria towards a more targeted and formal understanding”. 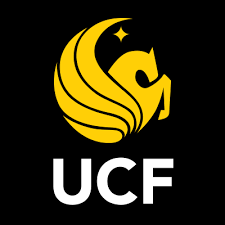 Since 2007, eighteen UCF McNair Scholars have been awarded the NSF fellowship. The program sends special thanks to Dr. Laurie Pinkert, Assistant Professor of Writing and Rhetoric at UCF, for her amazing work developing and teaching the McNair NSF GRFP course this past year.